o_O Nope. We'd only take action against someone who was buying / selling Neopoints, or if you were directing people from Neopets to an offsite location, not the other way around. These glitched Neopets will be fixed, so if anyone feels the need to trade for such a Neopet, then please keep that in mind. Perhaps it's a little tacky and uncreative, but it's not against the rules. Everyone is free to dress their Neopets in whatever clothing they own. No, it's not allowed. It's called circumventing the filters and can result in a warning. There is a minimum number of customisation items that must be equipped for a Neopet to be eligible to enter the Customisation Spotlight. 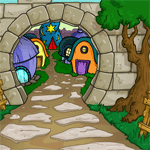 If you're seeing Neopets that are wearing absolutely nothing (not even paint brush clothing), then please send in a bug report (along with the URL of the image) so we can look into things. We asked Dragona to update it. 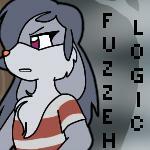 It now has a new description, but, uhh... it's not much of an improvement. We think she was being sarcastic. Oh no, the delusion is spreading! We already had to toss our New Features writer into the Meepit Oaks Sanitorium until they recovered from their strange notions. As items and Neopoints are now awarded from the Battledome, using the BD on your side account is now off-limits. We will be adding an option to let players turn off loot earning so they can fight on sides, but as we have quite a few features we are working on adding that might not be ready immediately. 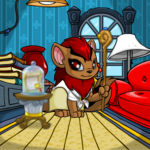 Until then, there are other ways to change the gender of your Neopet, including the Lab Ray itself and Strange Potions. Petpetpets are basically just little pets. No one equips one; they just seem to eventually hop onto an active Neopet and Petpet of their own accord when they're left in your open inventory. There's a difference between coding help and coding theft. If you notice spotlight content that seems to have been borrowed from another source, please report it and we'll investigate. ._. shusu_chan? *pokes her body* Ahem. We should have warned you. Those are specially-trained conifers, and they don't like being told they don't belong on a tropical island. This is Neopia after all! We have different weather patterns than Earth. Your end was not in vain, though; Neopians everywhere now know not to upset the Mystery Island Pinophytas. As long as you can access the NC Mall in your country, then you can redeem cards purchased from anywhere. Hmm... if we consider that a Weewoo weighs one pound (like an extraordinary number of other items in Neopia), and extrapolate that they would be the same size as a bird weighing a similar amount in the real world... in this case, we'll compare it to a medium sized male barn owl. The average height of such a bird is about 34 centimeters, but for the sake of easy math, we'll just round down to a foot. Taking in wings and all that, we'll just say a Weewoo would take up about one square foot of space for the sake of simplicity. The volume of Earth's effective atmosphere is approximately 2,609,759,007 square miles. Since there are 27,878,400 cubic feet per square mile, the atmosphere can contain 72,755,905,500,748,800 cubic feet. That's still horrifically short of the amount of space needed to contain 400,000,000,000,000,000,000 rabid Weewoos, and Neopia is even smaller than Earth! So, likely we would simply just immediately asphyxiate and die before we could even begin to worry about the fact that they're also rabid. Don't worry, we have plenty more. Shopkeeping is probably the most challenging thing you could choose to try here, the area with the most competition and the most work required to get to the top of your field. But, it may just be the best as well.